I think this is one of EC's greatest works...No wonder why it's the title track of the album. It also shows that EC isn't a "One Trick Pony". It shows his versatility. We all know he is a great rocker and blues man but, this song shows how he can attract a new younger audience while delivering the great music his older audience wants to hear. This has to be one of my favorite Riffs of all time, it a crisp electronic sound. The song has a dark moody feel and EC sings it fantastic (as usual) He uses the string orchestra well on this song too, it really fills the song out and adds depth to it. There is a fantastic string / guitar climax which leads into a great solo, which lightens the mood of the song up dramatically. 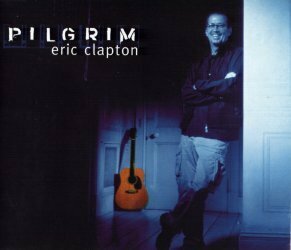 A very well produced and all round song, one of the best of the great Pilgrim album.